How long could I live if I were cast out into the wild? What use would be all my knowledge of the algorithms of Amazon or the price of peas in Walmart. I could live off my stored adipose reserves for longer than most, but quite soon I would fall from my perch. 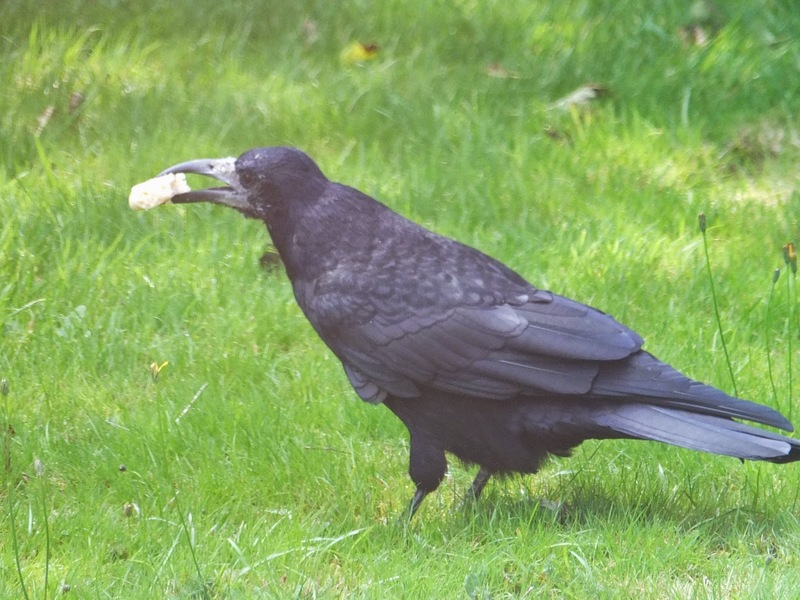 I can never see the rooks in the garden without musing on these thoughts. These creatures live through wind, rain, ice and drought year after year. Estimates suggest that some can live for thirty years. I have a favourite whom I call HB, on account of his hooked beak. There is no easy way of sexing rooks. 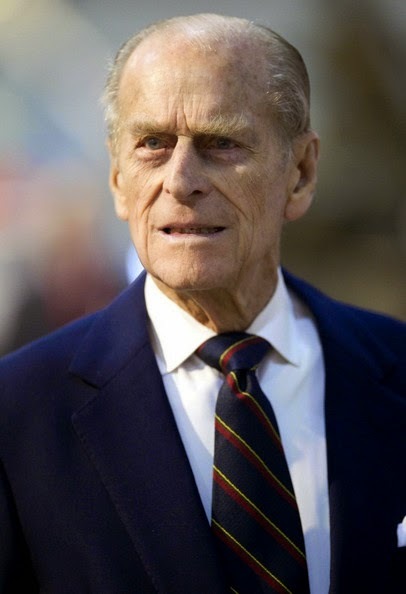 I assume he is male because he reminds very much of the Duke of Edinburgh. I first saw him seven years ago on the lawn. He was already a full adult so he must have been about four years old at least. HB is the most engaging creature I have ever encountered. He finds ways of eating almost anything. He takes any dry food to the drinking pot and soaks it for a while. He digs holes to hide spare food. When all the younger rooks flap off in a fright HB stands still, hands behind his back in Prince Philip mode and watches the situation.My guess is that he is completely politically incorrect. He then finishes all the food. We often look at each other. How I would love to communicate with this animal or indeed any member of the royal family. Recently I’ve been writing some children’s stories and of course, the great wisdom of the world calls to us from the high trees of the crows. 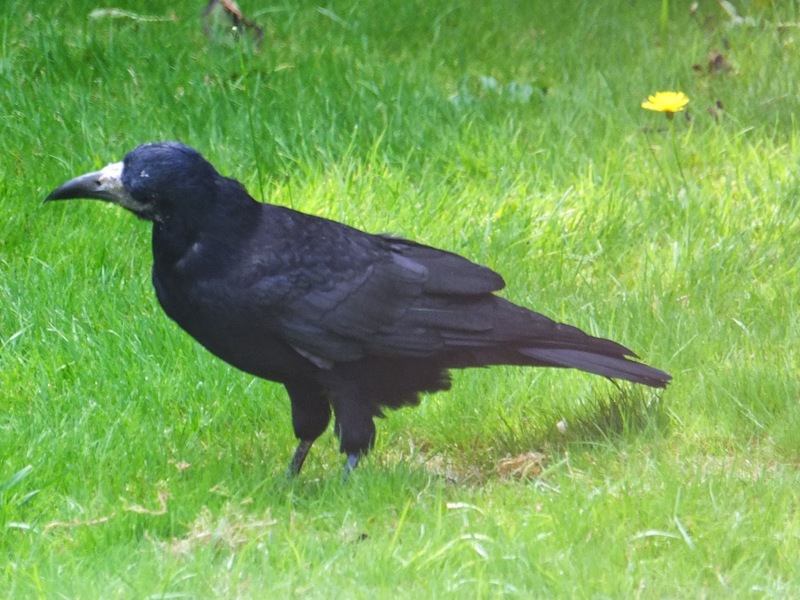 The rook is a social bird with youngsters not breeding for several years. Instead they stay at home and help with younger family members. In short they are the most wonderfully intelligent and adapted creature. Few could fail to admire them. I’d like to think we humans are at least equally aware of our problems and solutions. Sadly, a lot of the evidence is to the contrary. I think that there are few problems on the Earth that we could not solve. That is a fairly staggering idea isn’t it. Focusing the beam of human mind power and resources onto structured priorities is rather ambitious. But does anyone think we could not do that? I bet the rooks think we’re bright enough. I bet Prince Charles would agree. Emma Thinx: Joined up writing needed feathers. Think wild. This entry was posted in crows, Duke of Edinburgh, engage.re, humanityonline.org, Prince Charles, Prince Philip, rooks by emmacalin. Bookmark the permalink.